Grace. It's grace. It's more than we deserve, more than we have the right to expect. Christ came that we might know more joy than we ever would hope to imagine was possible, more freedom that we could ever dream of. It's grace. We met with two new trustees yesterday. Both ended their conversations with us by telling us that they are so very blessed by God. Independently, they arrived at the same statements. It's grace. Amazing, isn't it? Image: River running by Thomas, WV. 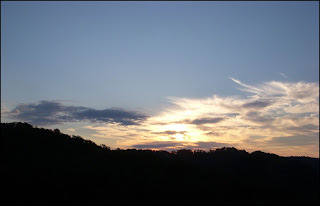 We drove into northeastern West Virginia today, and I thought rather than tackling a serious topic this evening, I would tell you about some of the funny things we saw. 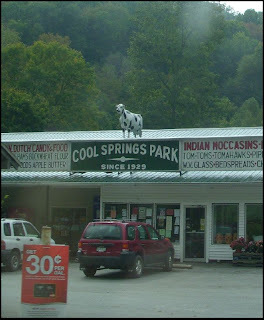 How about that cow on the roof? A whole yard full of road signs. Of all kinds. Plants all throughout the backyard of the house. A garage door spray painted with the words, "What you stold isn't worth dying for." "Rusty Nail" antique store. Does that inspire confidence?Moose. That's all the building said. And there was an outline of the animal on the side of the building. I'm sure it's where Moose meet, but wouldn't the word "lodge" make it a little more clear? A field full full full of rusty steam engines. And tractors. Why? Getz's Mart -- a convenience store. Go back and read that again. I heard about a great church fellowship event yesterday. If you live in West Virginia, you might know that WVU and Marshall played football yesterday. To be honest, I didn't know about the game until a couple people from work mentioned it on Friday. Yes, apparently I live in a cave. But anyway, if you live in West Virginia, you may have noticed that there are license plates around the state which say "A House Divided" for those families which have members who attend both schools. A UM church in Hurricane had a party yesterday to watch the football game together. They had t-shirts made up that say, "A House United." I think that's cool. I think that's a goal for which we should all aim. We are moving closer and closer to election day. I don't like this time of year because people begin to talk about politics. That wouldn't be so bad, but I get annoyed when people -- of either and both parties -- present their viewpoint as if it is the only possible opinion, and everyone else is stupid and wrong. No one is ever completely right. Why do we act as if we are? And why does anyone think that calling another person an idiot (or acting as if he/she is one) will convince him that his opinion is wrong? A house united. Will we ever see it as a possibility? I was in a meeting last week. We began the day with a devotional -- it's late right now, and I can't remember the scripture he used as he basis of the devotional. Anyway, it was a good devotional. I say that because, for me, one of the results of the worship was a feeling of the closeness of God. As part of it, he had us gather in our little groups at the table and discuss with each other those things for which we were grateful. As the other two people sitting with me were discussing blessings, I was overwhelmed. I started thinking how grateful I was to be where I was, and how I would never have been able to predict it a year ago. I thought about my family, my friends, my life in all of its joy and blessings. I knew as the other two people at my table continued to share, that there was no way I could voice that feeling. When my turn did come, I said something -- "my whole life" maybe, and found myself in tears (those leaky kind, not the sad kind). I was surprised by my reaction. I hope I remember that awareness of gratitude. Someone said today, "I'm drinking from my saucer, because my cup is overflowing." Amen. Steve and I went to a new Bible study class at church tonight. The topic of the study is the Gospel of John, taught by Pastor Jack. We are probably all familiar with verse 16. John 3:16 is quoted all the time, worn on t-shirts, printed on bookmarks. Why do we ignore the next verse? How many people see God as judgmental, condemning those who do not behave the way they should, who do not earn their salvation? How many of us talk about a "star in our crown" or a divine book, where God keeps a list of our sins? Why don't we hear verse 17? Why don't we hear that God has not come to condemn us, but to save us? Why do we miss this good news? Too short for those he loved. Life seems to speed toward death. If joy is not happiness. Even in spite of death. That it is well with our souls. The way he lived his 91 years. Of his rules of life. That he is a child of God. Standing for a fellow circuit rider. Of a life never ending. Of living in the will of God. A witness with his invitations. A witness with his life. 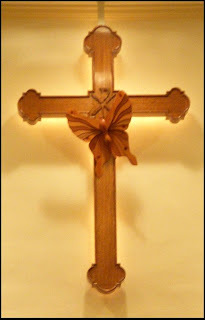 Image: Cross and butterfly from the sanctuary of First United Methodist Church, Barboursville, which was the location of the funeral for Rev. J. Irvin Conner on Monday evening. I have never thought of that before. We so often think of his death as a price which he paid for our sin, and so often we feel the guilt associated with that, that I imagine we rarely consider that his actions were to give us a life of joy. Joy. Not happiness. Not giddiness. Joy - that wonderful emotion which is the fruit of a close relationship with God. I can't find the post now, but a while back -- maybe over a year -- a gentlemen left several comments on the blog about worship and joy. His theory was that Christ's death on the cross was a sacrifice which deserved a solemn and serious response from us -- not a joyful one. This phrase, "Our Lord has purchased joy," flies in the face of that theory. If he died so that we could live a joyful life, close to God, then shouldn't our response be a life lived in joy? Image: Leaves on the way back to work from lunch. 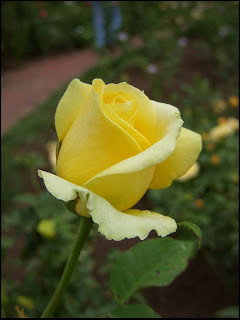 For some reason, my laptop would not connect with the Internet last night, and I was so tired, I just kept falling asleep as I was trying to persuade it to "make nice" with the wireless modem, so this post is backdated. This is an image that Steve took on his architectural tour of Indianapolis. It's a brass plaque not far from the hotel. There is no church presently on this site, but just this sign attached to a store front. We get so caught up in maintaining our churches (and I am one of the ones who do, so I know of what I speak), that we forget the building or the name is not what is important. A church used to exist on this spot, and the building is now gone. What was the lasting effect of its presence? Was the neighborhood changed? Were the church members transformed? 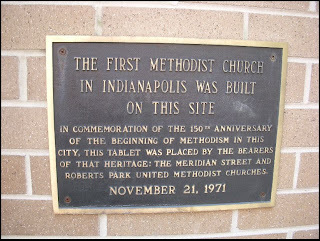 Are there believers in Indianapolis because this church once existed? Did its presence spread the gospel into the future, or is this all that is left? As part of worship today, the choir presented the song "When you believe" from the movie Prince of Egypt. It's a great song. As I was looking for the lyrics on the web this evening, a YouTube video from the movie caught my eye. The scene from the movie when Moses parts the Red Sea took my breath away. Even in cartoon format, it was incredible. It occurs to me that to witness something like that would be life altering. How could your faith remain the same? How could you avoid transformation? And yet, even though they had seen Moses do something so incredible, they still had a faith which would waver and doubt. Why do we do that? Why is it that even though we see and feel the presence of God at times, and it is life altering, there are still times when our faith wavers. Our firm belief becomes shaky. Where is our trust? 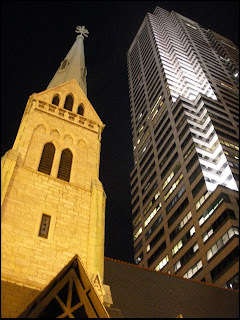 This is a picture of the steeple of Christ Church Cathedral, and Episcopal church on Monument Circle in Indianapolis. It sits right in the middle of the city, in the shadow of some very modern buildings. We were sitting at a table outside of Starbucks last night. The couple next to us was talking about the city. He told her that Monument Circle was meant originally to be occupied by five churches. Everything in the city radiated out from this circle. I love that image, that everything in the city radiated from its center, which was designed to be a religious center. Does what we do in our lives radiate from our faith? Is our faith at the center of our lives? What does it mean to be a church in a modern society? In some ways, this cathedral looked out of place in this modern city. It stood out -- everything about it screamed church. Is part of our role as a church today to demonstrate a different way? Does what we do scream out that we are the church? 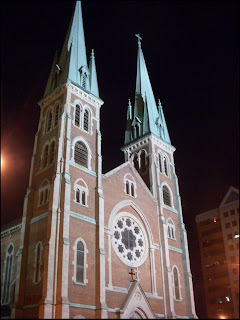 This is an image of St. John the Evangelist Catholic church. It's kind of across the street from the hotel. I'm too tired to write tonight, and we're getting up to pack tomorrow, so I'll just leave you with the picture. Notice, please, the shadow of the cross above the door. What does it mean for our churches to live in the shadow of the cross? Last night, we went to a dinner that was part of the conference which I am attending. The entertainment was provided by Becky Archibald. Before you read more, go to that web site and listen a little bit. Go ahead; I'll wait. Becky is a pianist and composer. (She also ate dinner at our table, which just added to our enjoyment of the whole thing.) Before she would play a piece of music, she would explain its genesis to us. One piece of music, called Unspoken, was born when she decided that she would write a piece of music based on five notes randomly selected from a pile of flash cards that she uses with her students. Unfortunately, the notes were C, C#, C, B and D. Play those notes on a piano, and you'll notice that she didn't have much with which to work. She tried several variations of the notes, and nothing sounded right, but once she "embraced the dissonance," everything fell together. Beautiful music was the result. I think that's what happens when God gets hold of us. He embraces our dissonance -- he loves us not in spite of our flaws as his children, but through our flaws. He takes our less than perfect beings and creates and transforms us, until we are a new creation -- beautiful music recreated by our God. In fact, he uses those flaws themselves to create our beauty. We are transformed. What results is a whole new creation. See, the former things have come to pass, and new things I now declare;before they spring forth, I tell you of them. 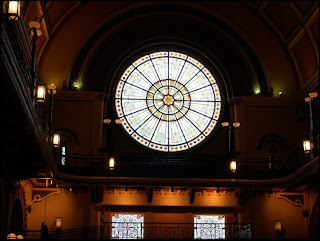 Image: This is the Grand Hall of Union Station in Indianapolis. It is also where we had dinner last night. A beautiful setting! I'm at a national conference this week. At one of the meetings I attended today, the speaker was discussing the differences in generations and their giving habits. She said that younger people -- the millennial generation, who are ages 21 through 27 -- have different motivations for their giving. She said that they aren't as interested in giving for basic needs of other people, but their interest lies more in upgrading the quality of life in the world. This broad category -- improving quality of life in the world -- is a departure from the motivational habits of older people. As I was thinking about this, I started thinking about your youth group at church. First of all, the Greatest Generation - those who lived through the Great Depression and who served in World War II -- are very interested in helping people to provide for their basic needs -- clothing, shelter, food, for example. I wonder if the reason that is true is because the Greatest Generation was more likely to have lived through the Depression -- these people understood what it was like to not know from one moment to the next if they will be able to find the next meal. They have experienced a lack of having their basic needs met. On the other hand, the very youngest generation is a product of the 90's and the newest century. They haven't experienced poverty as the Greatest Generation has. And then they come to youth group as a high school student, and experience ministry in a more global sense. This is a good thing unless you are trying to raise funds for local projects, like the City Mission. I was wondering, as I listening to the talk, if we expose our youth to enough of the need in our own areas. I think back to the previous year, and I can see that we involved them in World Vision and Nothing but Nets. I wonder if we need to include some experience with state-wide or community enterprises, like Burlington Family Services, McDowell Mission, the City Mission, Habitat for Humanity. I wonder if in addition to exposing them to the needs of the World Community, we also need to expose them to the needs of our local community, so that they will grow up knowing the existence of a need very close to them. 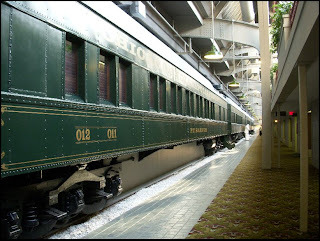 Image: This hotel in Indianapolis has rooms built into train cards. Very Cool. Take a look at this picture. 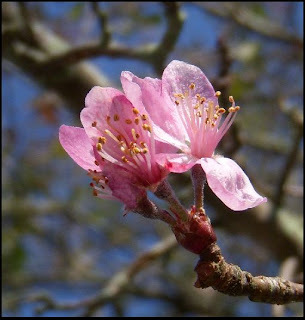 It's a crab apple flower. Believe it or not, I took this picture this morning. This morning -- it's September, in case you haven't noticed. Crab apple trees do not bloom in September. I'm sure that there is a blog post in the picture, but I'm debating what the theme of it might be. This could be a reminder about God's timing. We want things to happen when we want them to happen. We can't always (if ever) see the big picture. 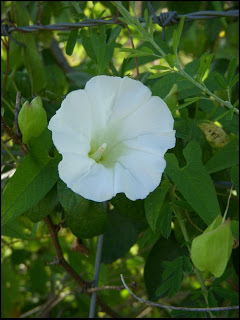 This flower may be blooming now, but its timing is so off, that I doubt it has the opportunity to fulfill its purpose -- to develop into the fruit that it was destined to become. God knows timing, and if we listen, he will lead us through it. Wait. Act. do something else. His leading will make us fruitful, and will help us to reach the full potential for which we were created rather than suffering from the dangers of frostbite or cold weather. 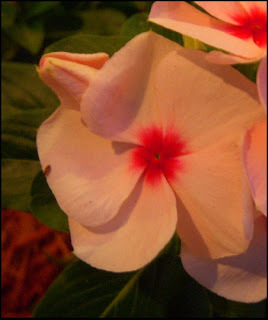 This flower could also be a reminder to expect life in God's world to be unpredictable. When we think we have it all figured out, a crab apple blooms in September. It's beautiful and unexpected. God's action in our lives and in the lives of those around us can often be surprising. Unexpected. Unpredictable. Sometimes we just need to let go of our preconceptions and step back to see what God will do. When we can't solve a problem and think it is unsolvable, step back and see what God will do. When we think there is only one path, God will make a way that we would never have imagined. 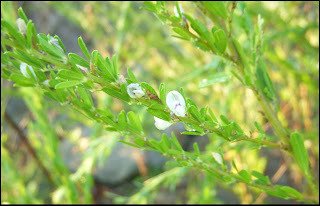 A tiny flower. What does it say to you? According to Andy Stanely, the fifth and final means by which God "expands our faith" is through special circumstances. I have a feeling that this is true for many people, whether those circumstances are tragedy or joy, suffering or happiness. Those circumstances could be large, life altering events or small, almost unnoticed happenings. In high school, I was invited to church by a friend. I later joined that church, and have been there ever since. My life has changed because I am a United Methodist; my faith has grown because of it. Knowing and marrying my husband has grown my faith and my commitment to it. We met because we both worked in the mall -- who could have imagined. In October of 2005, I preached a sermon which taught me that God is present in the work that we do together. I then went on an Emmaus walk -- faith-changing. We come to you once again, heavy laden with our sins and guilt, knowing the weight of all that we carry. We come to you a weary people, seeking your forgiveness and mercy. We come to you this morning, and know of your presence. We know that you have freed us from our sin and redeemed us from ourselves. We come to you a forgiven and freed people. Thank you, God, for the surety of your love of us. Thank you for the relief of your forgiveness. We pray this morning for our brothers and sisters who have found themselves in the path of the storm. For those staggering in the aftermath of a hurricane named Ike. Help us to respond, Father, so that they can find recovery and relief. For those facing the storm of illness and of loss among us. Use us as your church, so that you can touch them with our hands. For those seeking guidance and healing. We pray that you will be for them an ever present help, brining wholeness. The storms are many, Lord — hunger, pain, illness, anger, loneliness, and mourning. We pray today that our church might be shelter in the downpour. We ask for you guidance — your leadership — as we struggle to be the church in your world. Image: Sky on the way to Oakland last week. she was supposed to stay. They shall renew their strength. The time arrived when the signals changed. But perhaps still part of God's plan. Grant me patience when I need it. Grant me courage when you need me to have it. Stop my waiting when it's time to move. I agree with Andy Stanley that personal service is a means that God uses to increase our faith. It is linked intimately with obedience to God -- that obedience is saying, "God, I trust you." How can that help but increase our faith. I can think of many examples of this in my faith journey, but I'll share one of them. A couple of years ago JtM and I started co-teaching a book study. Over two years, we went through about five books. I started doing it because I think I've been led by God to teach, and because I thought it would be fun and a joy. All of that proved to be true. What else I learned, though, is that my own faith grew enormously through the experience. Teaching those books, planning for the lessons, talking about them with JtM and with the class members helped me to clarify for myself what I believe. I can now verbalize what I think grace means, what it means to forgive, what the purpose of prayer is, and how the will of God crosses our lives. Throughout that experience of personal service, my faith was strengthened and clarified. I'm grateful for it. The third method that Andy Stanley says that God uses to expand our faith is Personal Disciplines. In what ways does the routine of spending time looking for God expand your faith? How has it expanded mine? 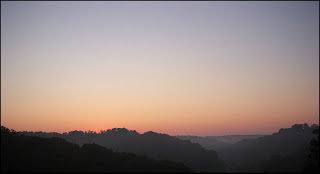 When I came back from my Emmaus walk -- and not immediately -- it took a few months for this routine to fit itself to my lifestyle -- I began spending time in devotional reading each morning. I started out thinking that I would take time five days a week to do it. I ended up liking the quiet time so much that I changed it to every morning. My first project was to read the Bible from front to back. I had never done that, and I felt that I needed to. It gave me a bigger picture of the Bible -- one that I don't think I had before then. After that, I began to read Disciplines -- the Upper Room resource based on the Revised Common Lectionary readings. I read the scripture reading for the day, the devotional, and spend some time in prayer. I say that with confidence, although I don't always get it done. I wish I did -- every day. 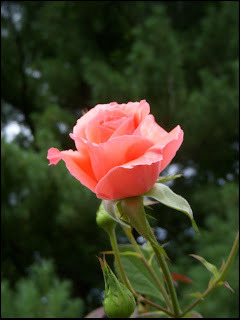 It does enrich my thoughts through out the day, and I think it brings me closer to God. Blogging for me is a discipline. It makes me think. There are days when I can barely but two words together, but I know if I ever start doing it based only on how I feel, that I will stop doing it altogether. Habits are important. Writing things down in this manner expands my faith. 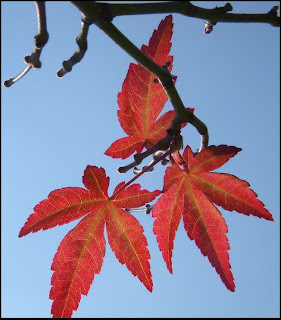 As part of blogging, in February, 2006, I decided to spend a week carrying around my digital camera, just to see what I would find that was extraordinary. I haven't stopped taking pictures yet. It's a discipline, and it has expanded my faith. There are times when I just stand and stare, amazed by God's work. 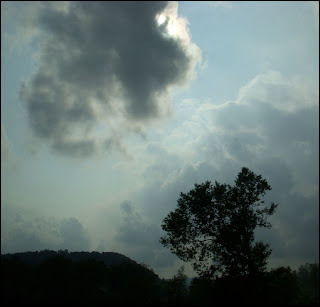 The image above was taken on the way to Oakland, Maryland. 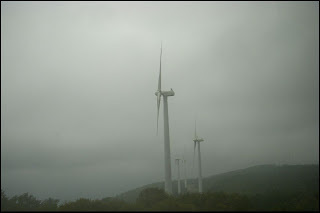 Windmills. Powered by wind. Are we powered by the breath of God? Do our disciplines increase our awareness of pneumo - God's breath? God's spirit? The second way that Stanley says that God expands our faith is through providential relationships. Have you had a relationship with someone that, as you look back, seems to have been "arranged" by God -- a relationship with someone that has increased your faith? When I think back to high school, I remember Coe Marsh. She was an older adult from our church who went with us on our choir tour. I look back now, and I think her example of faithful service was amazing. Dr. Chuck Echols, who was the associate pastor at our church for a few years, was my Bethel Bible teacher. He was the one who told me that I needed to teach, and he arranged for my first teaching experience. I couldn't begin to explain how my husband has changed my life and increased my faith, but I believe I live in an arranged marriage -- arranged by God. My husband and I are part of a circle of friends -- we, and another couple. We have known these people for years, but over the past couple of years, the friendship has deepened. We laugh outrageously, sometimes, in almost in the same breath, we are magnifying God for each other. Friends. I think providential relationships are a means of grace that can increase our faith. I think he has done so for me. Looking back at Marv's Sunday school lesson again, a couple of questions arise. Must we be baptized? I like what the Methodist Church says about baptism in the book "By Water and the Spirit." (and I'm paraphrasing) Baptism is a sacrament established by God to bring us closer to him -- as a means of grace to bring us into relationship. It's important, and it's a gift of God. To say that it is a requirement, though, is to limit God. It's a gift that he has given us, but he can bring us closer to him, into relationship, in any way he wishes. What about what I talked about yesterday? Must there be a moment of conversion? A time when we say, "yes" to God?" Maybe there does need to be a time when we each say "yes" to God. Perhaps, though, that "yes" isn't always a statement spoken. Perhaps it is a "yes" of action. Perhaps it is a "yes" to God in prayer. Perhaps it is an opening of our ears instead of our mouths. Perhaps, for some, the conversion moment is different from others. It is God; I'm not going to limit what he can do. To sum it up, I doubt that grace has rules and requirements on our part. Grace makes a way. God tries to show us the easiest, most obvious way, and I imagine that he hopes we will follow on that path, but he doesn't give up. Love will find a way. Even if we miss the turn or don't take the obvious road. Thank God. Our Sunday school lesson yesterday was about the John 3 passage which talks about being "born again." What do you think of the phrase, "born again"? I think that its meaning, for me, has been corrupted (just like evangelical). It is used in such an accusatory fashion at times. "Are you born again?" It is sometimes asked as if proof is necessary -- as if I give the wrong answer, that I'm off to hell. It's the pressure of the question that I don't like. It's the simplicity of the necessary response that bothers me. I finally made a decision that if asked, I would answer, "yes." A simplistic answer, and who can argue with it? That's not to say I haven't worried about it. 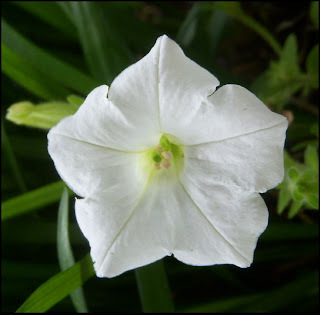 I was baptized when I was seven years old, in a local Presbyterian church. At the time, we called it christening. For the longest time, I didn't know that they were the same thing. I worried that I hadn't been baptized, and that there would be dire consequences. It wasn't until I went through confirmation classes as a senior in high school that I understood. The pastor asked us if we had been baptized. When I answered, "I was christened," he said, "Same thing." Those simple words were a huge relief to me. Have I been "born again?" I don't think that the question is a simple as "Have you been baptized?" Sometimes I wish that I had had a "heart warming" moment-- a time that I could point to and say, "Here. This moment I was changed." I feel like my experiences in late 2005 -- the walk with God of preparing a sermon for Laity Sunday, my Emmaus walk, and my decision to continue as Nurture chairman for another year -- left me as a different person. I feel the presence of God more than I ever did before that time. Does the spirit of God live within me? Does his presence make a difference in my life? If this isn't God, then I am lost. I am back to ground zero. It feels like God to me; I certainly believe that this is God. Marv paired the John passage with the one from James about faith and works. If God is present in our lives -- if we have faith -- then our faith will motivate us to good works. Does my life reflect the presence of God? Does my faith yield God's fruit? That's a harder questions to answer. On my original Emmaus walk, one of the women at my table said that she wished that she had had a conversion moment -- a time to which she could point and say, "Here. It happened here." I didn't understand her at the time. While hitch-hiking from Washington DC to Nashville in 1973, I was picked up by a Christian truck driver who shared his faith with me for 2 hours. I went back home and starting going to church again. For four years I sought a born-again experience like some Christians describe but it never happened. Then, one day during private prayer in a campus ministry chapel, it became clear that I was a Christian. I was indeed born again sometime during that four-year, three month journey, but I’m not sure when. After that I went to seminary and became a United Methodist preacher. I'm listening to a series of sermons by Andy Stanley about his theory concerning the five general ways in which God will increase our faith -- five categories of factors which are used by God to, as Andy puts it, "blow up" our faith. What do you think? Has God used those general ways to increase your faith? I thought that I would take a look at the five of them, and see if they apply to my faith walk. Bible study -- it does seem logical that our faith will increase through regular, in depth Bible study. First of all, I don't think my faith has climbed at a steady rate throughout my life. It has undergone jumps and plateaus. I wonder if other people are like that. One of the jumps in my faith happened right after I finished graduate school. I liked school -- I did not like homework, at all, but I like learning. Once graduate school was finished, I was looking for something that allowed me to continue that experience of learning, so I signed up for a Bethel Bible study teacher's class. It was two years of classes, once a week, for 2 1/2 hours per night. It was in depth. It was the first time that I really read the Bible and talked about it with other believers, with any kind of time commitment. It did alter my faith. It also launched me into service, using what I would now call a gift of teaching in service to God. I still, even now, and hopefully always, have those "ah hah" moments in Bible study -- those times when you read a passage and see it as you never had before. There are those times when Bible study can lead you closer to God. Strengthen your faith. Is vulnerability something that comes easily to you, or are you a private person? Well, I think I am a private person. That doesn't mean that I don't share vulnerability with particular people, but with most people, I don't. In many ways I am introverted. BUT, I also think that in many ways those who are not close friends or family would be uncomfortable with sharing vulnerability. I do live in West Virginia, where a "How are you?" question will yield a REAL answer, but for the most part, there are very few people in anyone's life who are interested in sharing vulnerability. That's one of the things that makes friends so special. How important is it to keep up a professional persona in work/ ministry? In my old job, where religion and work never mixed, it was very important. In my new job, I am blessed to work in a place where one of the four of us can say, "We need to pray together," and we do. Where I work now, that sharing of faith does not make us less professional. Isn't that a blessing? BUT, it does make it harder to find the line between the times when one should be completely professional, and not share faith, and when one can share faith and it's accompanying vulnerability. Masks, a form of self protection... discuss... Well, absolutely. We all use them. I use them. Who knows you warts and all? My husband. Very close friends. I imagine , though, that no one knows all of our warts, because we fail to acknowledge them ourselves, but there are a few people who probably know me almost as well as I know myself. It's comforting that they seem to like me anyway! Share a book, a prayer, a piece of music, a poem or a person that touches the deep place in your soul, and calls you to be who you are most authentically. I wonder if the question would be better stated (for me) "What calls you to authenticity with power?" Many things suggest it, but I don't always hear it. The Bible calls me to authenticity, especially with God. I have a circle of friends (including my husband); as one of them said, once, "Not only can I tell the truth (to them), but I must." 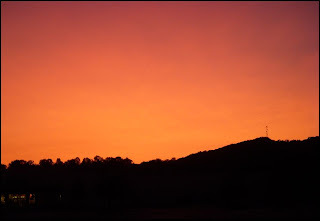 Image: Sunrise on the high school hill, some time this week. While I was at the Grove seeding event, I met a pastor from Parkersburg who recommended a book that she was reading called Do Hard Things: A Teenage Rebellion Against Low Expectations. It's available through Amazon and is written by two teenagers, Alex and Brett Harris. If you go to that Amazon link, there is a short video you can watch with the two young men who wrote the book, explaining its premise. In short, they believe that the current attitude toward teenagers is that we have low expectations of them. We consider the teenage years to be a "vacation from responsibility." These two young authors think that it is a launching pad to life. They wrote this book to say that there is an alternative -- doing the hard thing. They believe that while the first half of the verse is appealing, the most important part of it is the second half. What would happen if we all had that high expectation -- not just of our teenagers, but of ourselves? What would happen if we expected our kids to be an example in speech, life, love faith and purity? And if we expected the same of ourselves? I think we do have low expectations -- of our kids and of ourselves. I think that not only would life be better if we expected better from each other, but that we want that faith from other people. We all want people to have high expectations of us. We strive for it; we find joy in their faith. One of the authors in the video says that "God calls us to be exemplary." Amen. 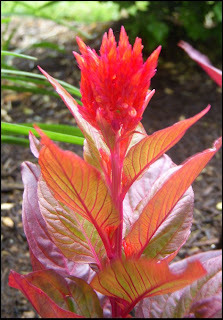 Image: Flower from Lexington at hotel during Ichthus stay. At the Grove seeding event, I bought Celia Whitler's book, "On the Way to Somewhere." It's a series of short chapters, each followed by discussion questions. I was stopped by the first set of questions -- part of the "Sacred Interruptions" chapter. I've written about interruptions before (here) and have had discussions with JtM about ministry of interruptions. Maybe that's why these questions caught my attention, but I thought they might make a good blog post. When is the last time you gave serious attention to an interruption? What does it mean that I can't think of an example? I hope that I am able to do this...I have a feeling that it is an important skill in my new job. Do you take time to hear others' stories? Probably not as much as I should. I get impatient at times or distracted by my own thoughts and lose focus. I do think it's important, and I try to make an effort, but it doesn't always work. There are also certain habits that I find distracting. I'm not very patient when the speaker is trying to speak with me and do something else. When was the last time you focused on hearing someone else tell his or her story? This morning, but I don't think I'll go into details here. What one thing could you do to help yourself listen more closely? I have found that eye contact helps me to continue listening when my mind would like to wander. I also, since my Emmaus walk, have found that when I discover that I am not listening, if I say "focus" to myself, I pull my attention back to the person in front of me. FOCUS. How do you tell your story? Do you journal, write songs. blog, teach, draw, paint, write, sculpt, act, sing? I used to journal. When I started blogging, I stopped journalling-- too hard to do both. I do find find that I self-edit somewhat on the blog, because it is public, while I didn't when I journalled. I have also found that I am able to maintain the discipline of writing more with the blog than I was with the journal. I teach, but I'm not sure that I do that to tell my own story. I'm pretty sure that's NOT why I do it. I work with my hands as an outlet to creativity -- crafts. Recognize that? It's the chorus from the hymn, "Here I am, Lord." It's a great song, and I really like to sing it. When I see it listed in the worship bulletin, I smile in anticipation. I have noticed lately, though, that it always makes me cry. Why is that? It's a great song; tears interfere! As I mentioned on Sunday, we came to St. Mark's for church. This was the final hymn of the service. As I sang it, (and fought back the annoying tears), I finally figured it out. I can sing the verses just fine -- it's the line, "I have heard you calling in the night" that gets to me. If you read the blog with any regularity, you may remember that I changed jobs in May. One Sunday evening in April, before I went to bed, I began considering applying for the job that I hold now. When I went to bed, I was certain that I wasn't going to do it. I stayed awake all night long. All night long, no sleep. I just kept thinking about the job, what it would mean, the changes it would bring. When I got up the next morning, I was certain that I wanted to apply. Fast forward a month and a half, after I had interviewed for the job, been offered it, accepted and started work. I was in a meeting with someone else, not from the world of "church," who asked, "What led to to such a drastic change in work?" No one had asked me that before. I felt on the spot, and before I could think, I answered, "God." Probably not the most professional answer, and it may not have left him with that great of an impression of me, but it confirmed for me what I had thought before. I think I have heard him calling in the night. One night in April. When I say things like that, I always feel arrogant. Who am I to think that God is calling me? However, if I believe what I say that I believe, then I must say that God is calling me. I am a child of God. So are you -- and he's calling you, too. The call doesn't make me special; it just makes me beloved -- like you. Like all of us. I have a feeling that being beloved is enough to bring anyone to tears. 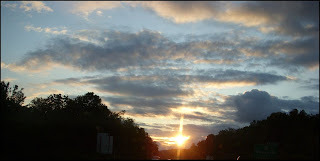 Image: Sunset on Sunday evening, from the mall parking lot, after J's birthday day. Absolutely gorgeous sky! I take pictures. 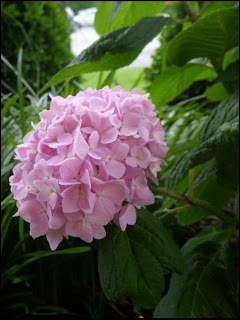 I mainly take pictures of sky, flowers, nature -- whatever I see that is beautiful or artistic to me. I've told people that I see God, and I take a picture. These pictures probably aren't of God, but maybe they prove that God has a sense of humor, and we are made in his image. 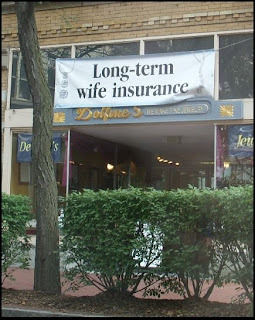 "Long term wife insurance" -- Seen on a jewelry store in Charlestons. Not really funny to me, but it does win the most "chauvinistic" award for the day. 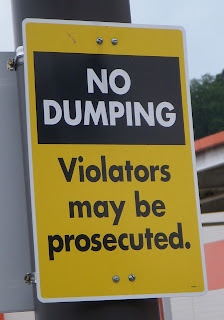 "No Dumping" -- I guess there is a time and place for everything, and the parking lot probably isn't it. 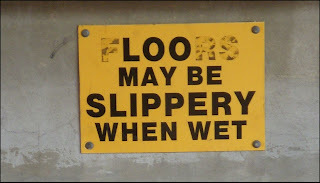 "Loo may be slippery..." -- Well, ick. 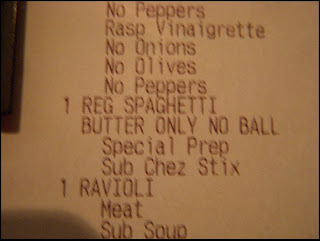 "Butter only, no ball" -- Is this descriptive of the person ordering, or is it a preference for dinner?